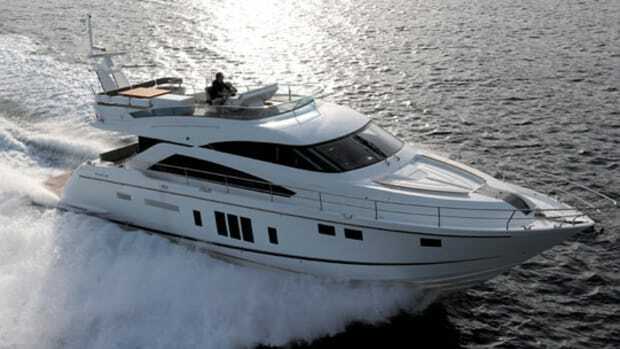 It’s hard not to like what Fairline’s doing these days. Its launches all seem to be fun to drive with lots of attention to onboard detail. And the 53GT looks to be no different. 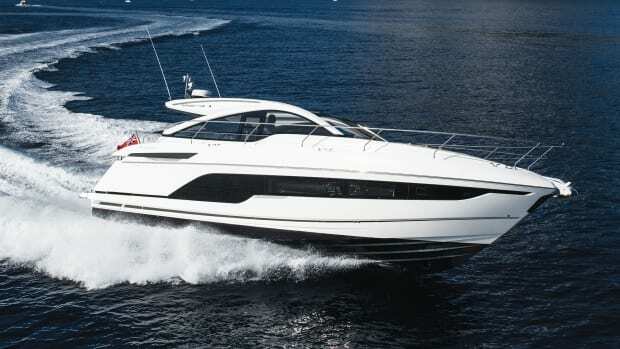 In my experience, Fairline Boats just builds them right. 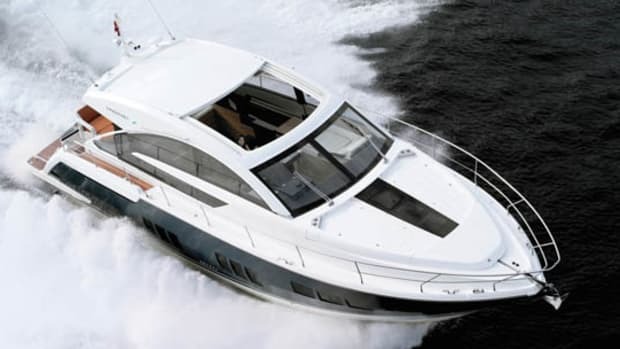 They make it difficult to review a boat, because there’s very often little to critique. 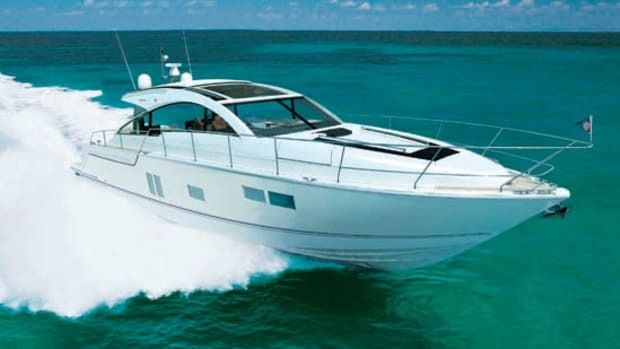 Based on my experience, the boats handle well, they’ve got a high level of fit and finish, and you can tell they’re designed by people who understand what it’s like to be on the water. That’s why I’m looking forward to getting to know the 53GT better. 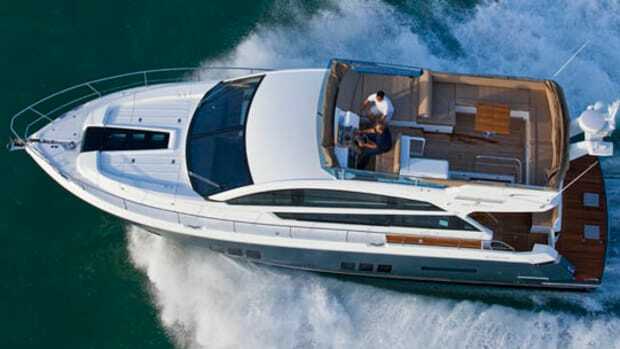 Because this boat has all the earmarks of being a quintessentially versatile Fairline. 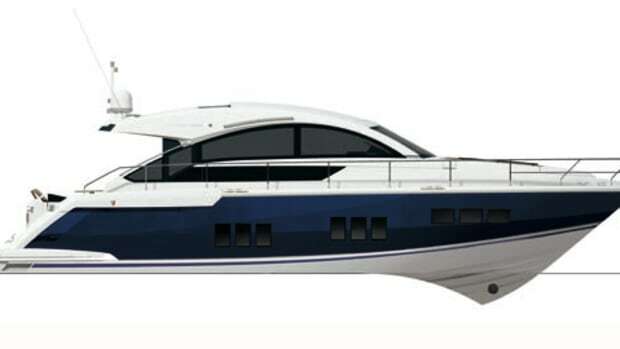 First of all, the lines on the GT are pleasingly sleek, an important factor for any image-conscious express cruiser. 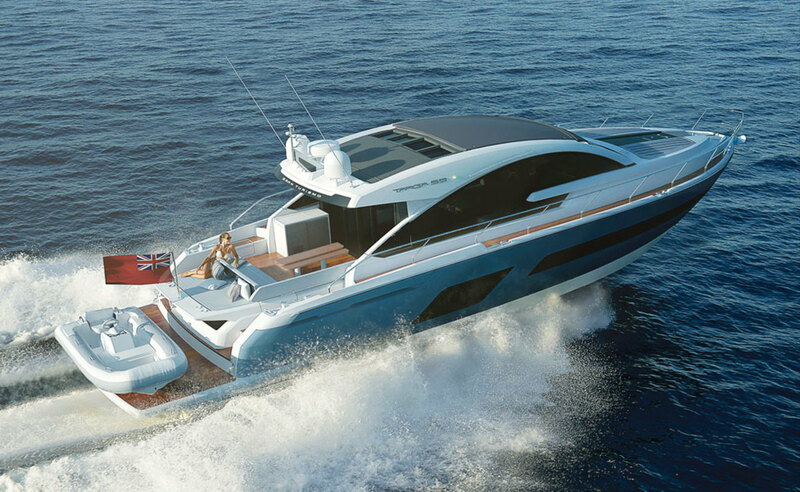 Of course, another important consideration for any boat is her level of onboard comfort, and it looks like the 53GT will be impressive in that regard as well. 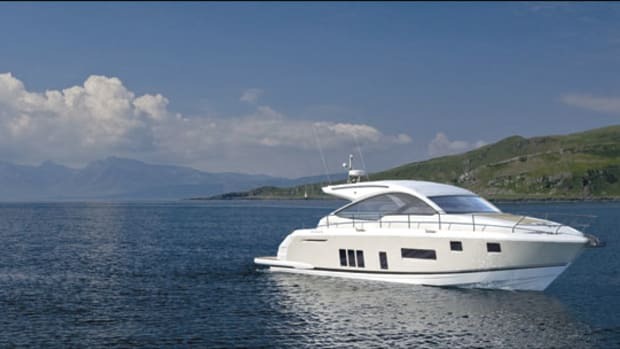 Her designers focused on making the boat as open and airy as possible, with big, panoramic windows allowing her interior to be exceptionally bright. Down below, there’s a spacious amidships master with a king-sized berth. A forepeak stateroom acts as the VIP while a smaller cabin to port rounds out the guest accommodations. (An optional crew’s cabin is available as well—it’s even got a window). 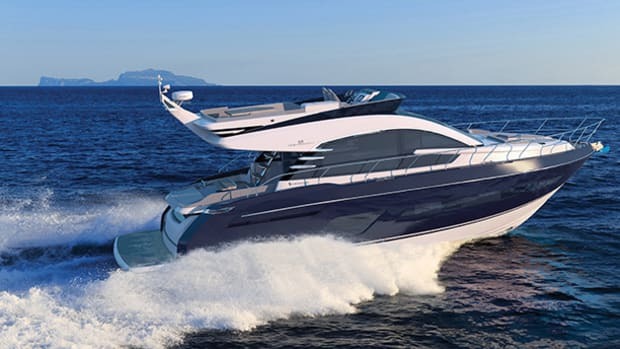 The 53GT will be available with either straight-shaft Volvo Penta or Cummins engines that will give her a top hop cresting 30 knots, and Fairline is predicting that she’ll have all the seaworthy traits of her sisterships (notably, a flying-bridge version of this boat is coming out next year). 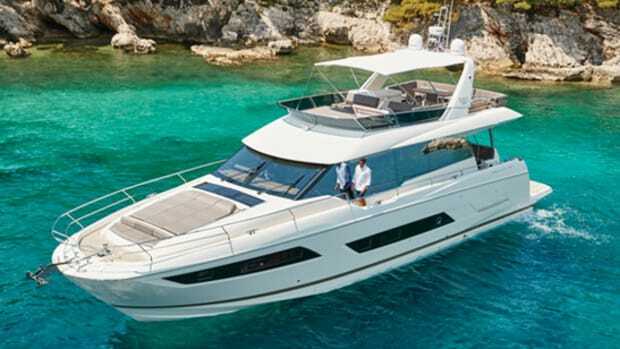 We won’t know for sure until she debuts stateside at the Ft. Lauderdale International Boat Show, but the smart money says that Fairline has done it again.